Currently operating in at least 19 states, micro hospitals deliver care in a highly effective, low-cost setting. They focus directly on community needs and operate within a compact clinical and administration framework. These hospitals are licensed as a hospital. If Medicare reimbursement is sought, they are certified as a short-term acute care hospital. The regulatory requirements for micro-hospitals are the same as a hospital. There are no shortcuts when it comes to compliance. Although there is no formal definition for a micro-hospital, they generally run from two to 25 beds, depending on state requirements to meet hospital standards. Their footprint is smaller in scale, too, and thus less costly than a 100- to 200-bed hospital. Size-wise the current trend is 25,000 to 75, 000 square feet, but size varies depending on state-specific requirements for establishing hospitals. Smaller project equals shorter development/construction time and lower cost. Micro-hospitals are a realistic option for health systems seeking to address community needs in metropolitan areas where patients may have limited or over-crowded options for acute or emergency care. They provide easier access for communities in need of options and expand access for communities seeking more efficient or boutique services. When did micro-hospitals first emerge? While small hospitals with a focused service line, critical access hospitals, small community hospitals, and specialty hospitals have been around for many years, the first official micro-hospital emerged in 2007. The micro-hospital is designed to fill the care gap and provide better access to care. We’re seeing providers place micro-hospitals in larger, metropolitan areas in communities where patients may not have easy access to acute or emergency care. What types of affiliations do micro-hospitals typically maintain? Generally micro-hospitals are affiliated with larger health systems which strategically view them as a way to attract patients and capture revenue by providing more convenient care for lower acuity needs. Even though the hospital systems themselves are mostly affiliated with non-profit systems, many look to for-profit partners for developing and operating such facilities. What are the major rule-setting agencies for micro-hospitals? State Hospital Licensing (FGI Architectural Guidelines & Life Safety) and Medicare Conditions of Participation –if Medicare certification is sought. What regulatory and accreditation requirements are micro-hospitals subject to? A micro-hospital is a short-term acute care hospital for purposes of state licensure and Medicare certification. States vary on minimum requirements for establishing a hospital. Some states will have specialty categories and some stick with a general hospital license category. A micro-hospital must meet the requirements of a general hospital. How, if at all, do these requirements differ from traditional hospital standards? Are there any accreditations/certificates available for micro-hospitals? The requirements for a micro-hospital are no different from the minimum requirements for a general hospital. There’s no accreditation specific to micro-hospitals because state licensing agencies license these entities as hospitals. What types of practitioners typically practice at micro-hospitals? The type of practitioners depends on the minimum standards of the state agency for a hospital, as well as the scope of the provider’s focus. For example, if providing emergency services and surgical services are required to establish a hospital, then the medical staff complement will have to reflect specialties to cover these services. What types of services are offered at micro-hospitals? That depends on the overall strategy for the project, as well as the minimum standards required by the state to establish a hospital. Sometimes micro-hospitals will be modeled as a community hospital and provide general services: emergency, surgery, medical/surgical unit, laboratory, and imaging and outpatient services. However, some states do not require the availability of surgical services to establish a hospital. Thus a micro-hospital could elect to opt out of providing these services and instead focus on delivery of inpatient, emergency and ambulatory services. What’s the medical staff governance model for a micro-hospital? Is there a dedicated team of medical staff leaders at each facility, or are practitioners integrated into system-wide staffs? Since micro-hospitals are regulated in the same manner as a general hospital, the medical staff structure is required to have a medical staff and Chief Medical Officer it must be governed and credentialed according to its medical staff bylaws and rules and regulations. The difference is usually in the size of the medical staff and its committees. Efficiency is easily managed due to the focused scope of these hospitals and their medical staff complement. How are practitioners vetted and authorized for practice at micro-hospitals? Members of the medical staff must go through the same credentialing process as a general hospital, including OPPE and FPPE. The process is only condensed because the micro-hospital’s service lines and size provide for a smaller group of medical staff and efficient handling of committees and credentialing processes. The credentialing is sometimes handled in-house or can be provided by a third-party. What unique challenges, considerations or circumstances do medical staff and credentialing professionals face when vetting and assessing competence for practitioners working in micro-hospitals? First, as the medical staff may be small in size due to limited specialty services offered by a micro-hospital, there can be issues with garnering adequate participation for medical staff committees, including those which would undertake the evaluation processes for physicians. Second, with a medical staff of limited size, often it is infeasible to maintain a director overall specialty areas unless required by regulation. For those areas required to have a directorship, the financial mandates of a physician representative can be difficult to fill in the small hospital setting. These director levels are often those individuals who are overseeing the FPPE/OPPE process within the hospital itself, which may subsequently make competency assessment and tracking a difficult task. Third, as a micro-hospital does not by definition have the volume of a larger hospital, competency assessment may prove challenging where areas of evaluation are small and/or far between. Thus participation and oversight from the system or larger hospital owners or partners may play an important role in providing support and specialty coverage for a small hospital with a focused service line. 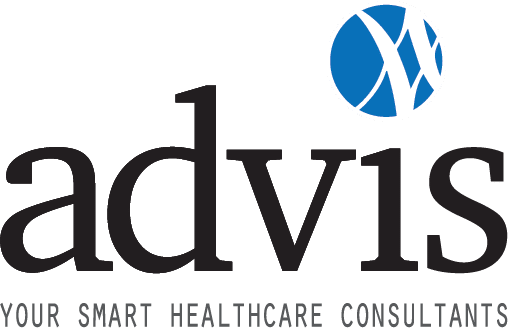 What advice do you have for operationalizing and sustaining significant, compliant, manageable vetting and competence assessment processes for micro-hospitals practice? The key to operationalizing and sustaining a competent assessment process for a micro-hospital is to tailor the process to the size and scope of the hospital itself. Utilizing standardized processes, which may be difficult to achieve in a smaller setting, is likely to set the micro-hospital up for failure. We cannot emphasize strongly enough the importance of understanding that a micro-hospital is a hospital with a scope focused to address community demand. Just like a hospital, a micro-hospital must focus on both inpatient and outpatient services.